The 3 Circle Theory for Transformation, a unique tool for development devised by me, is based on insights from the research on Fractal Universe, the Composition of all Matter and how Human Life can be interpreted. This Theory is ready to be put into practice in Mumbai, India, for developing people and transforming lives. 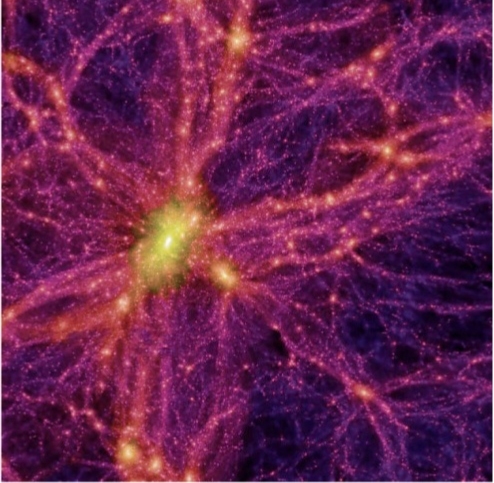 The Fractal Universe - Amazing! The Concentric Circle is based on the findings that the Universe is Fractal. 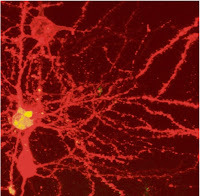 A fractal is an object or quantity that displays self-similarity, in a technical sense, on all scales.In the above two pictures, the left one is a microscopic photo of a few neurons. It is identical to a simulated rendering of what astrophysicists believe to be the universe’s structure, with clusters of galaxies and dark matter, whose picture is below it. Marvel at the remarkable symmetry and wonder. One is only micrometers wide. The other is billions of light-years across. One shows neurons, the other is a simulated image of the universe. Together they suggest the surprisingly similar patterns found in vastly different natural phenomena. 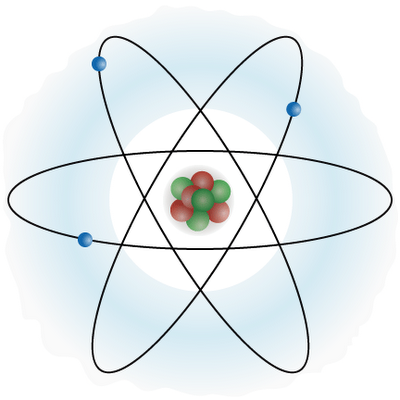 An Atom is a miniature but complete replica of the energy structure common to all forms of life – cosmic, planetary, human & Sub-human. 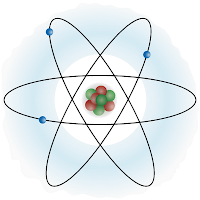 It is made of three parts, i.e., Nucleus, Electron Cloud and the Valence Shell which cane be depicted as 3 Circles. Similarly, a Galaxy is made up up the (nuclear) bulge, the (dusty) disk and the (spheroidal) Halo consisting of stars and star clusters. Thus, these also make up the 3 Circles. 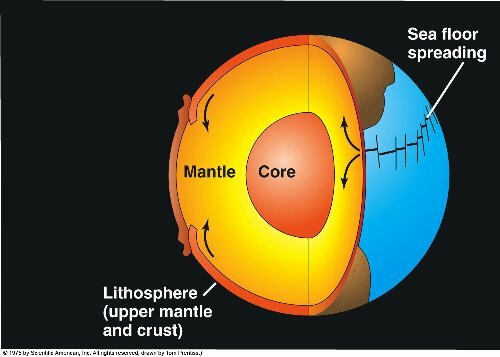 Similar 3 Circles are found in the structure of the Earth (Core, Mantle, Crust) and also the Sun (Core, Convection Zone, Radiation Zone). Isn't this fascinating? 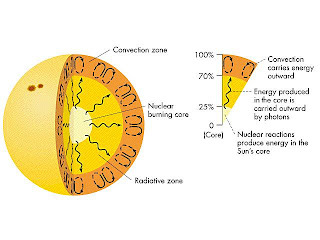 The Core – Includes the Energy source within each of us, our belief system, attitudes, abilities, fears, skills, experiences. It is ever changing, the changes being influenced by our continuous learning. 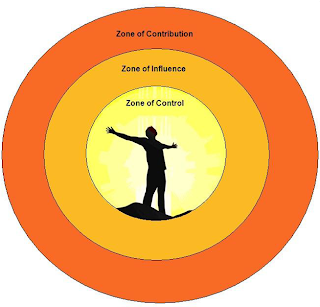 This zone can also be called the Zone of Control, as we have the power to control whatever changes we wish to create within our core. This Circle denotes ‘Self’. The Inner Circle – Includes the immediate environment and the living constituents. Our near and dear ones (relationships), our friends, colleagues, friends and associates, all fall within this domain. This circle can also be termed as the Zone of Influence, as in this zone, we either influence others or are influenced by others. The control element is almost non-existent. This Circle denotes ‘Relationships’. The Outer Circle - The external environment or the eco-system of which we are a part, but have no control and minimal influence. This can be also termed as the Zone of Contribution or the Zone of Collaboration, as it is only this contribution or collaboration that makes life sustainable and adds value to the eco-system. 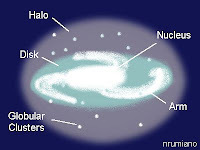 This Circle denotes our ‘Linkages’ with the universe. People tend make incorrect or incomplete choices, which limit them in their actions into one or two of the circles only, hence inhibiting their potential and denying them the fulfillment that comes from living live fully by utilising the entire structure of the 3 Circles. Developing our Core increases our own self-worth and our perceived value by others. However, left at that, it leads to a feeling of emptiness. Developing our Core and our Inner Circle creates positive influence on others leading to successful outcomes. However, the true purpose of life remains elusive. Developing our Core, Inner Circle and Outer Circle develops your true consciousness, establishes your purpose in life, making your life truly meaningful.